Queen Guitarist Brian May has apologized to fans after he defended Bohemian Rhapsody director Bryan Singer on social media. Singer has been accused of sexual misconduct with minors for over 20 years and four men just came forward with new allegations last week. An article detailing the allegations was released on the same day that Bohemian Rhapsody was nominated for multiple Academy Awards, including Best Picture and the director denies any wrong doing. He was fired from the biopic with only a few weeks of shooting left. In addition to being the guitarist in Queen, one of the biggest rock bands of all time, Brian May is an astrophysicist. However, some claim that May isn’t very savvy on social media from an incident that occurred a few days ago. In a comment on one of his photos, a fan said that he should unfollow Bryan Singer on Instagram after decades of sexual misconduct allegations involving minors. Brian May did not like being told what to do, so he fired off a reply that angered many Queen fans. You can read the response below. Since posting the response defending Bryan Singer, Brian May received quite a bit of backlash. Bohemian Rhapsody is the highest grossing music biopic in history, so May rightfully wants to celebrate. But that celebration was cut short when fans started to express their frustration with the guitarist and studio for working with Singer in the first place. May quickly wrote out an apology. He had this to say. The apology letter that Brian May crafted is very long. After not realizing that he offended people, he continued to apologize and noted that he made the decision to unfollow Bryan Singer on social media. However, before that, he said that he was naive to the fact that following someone on social media was approving of their behavior and went on to say that Singer was fired from Bohemian Rhapsody. Again, May should be able to follow anyone he chooses on social media and that doesn’t necessarily mean that he backs that person’s behavior. Bryan Singer came under scrutiny and was also the center of much backlash the night after Bohemian Rhapsody won Best Picture at the Golden Globes. The director, who was fired but still shot most of the movie, retaining his credit, thanked everyone on Instagram for the win, after all of the speeches failed to mention him. Shortly after the movie was nominated for a Best Picture at the Oscars, Singer has since deleted his extensive collection of Bohemian Rhapsody behind-the-scenes photos and videos from Instagram, leaving no trace behind that he had anything to do with the project. Which is an odd turn for the director, who has gone out of his way to make people aware that he worked on the movie. It appears that Brian May really does feel bad for his snap judgement, but some Queen fans are still upset over the fact that they had Bryan Singer involved with Bohemian Rhapsody in the first place. 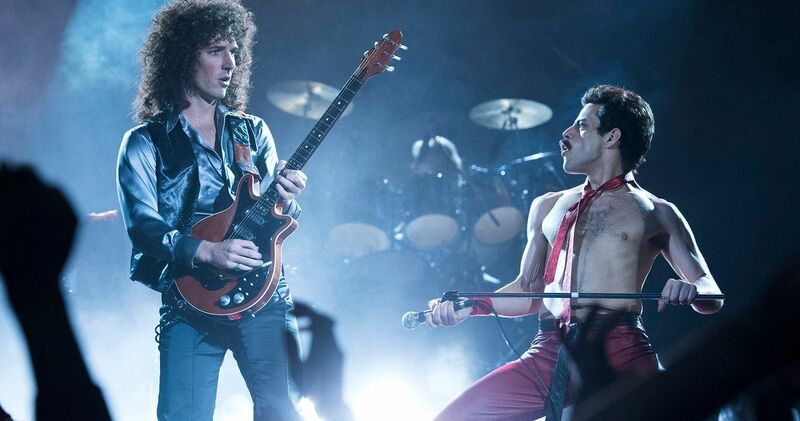 While the biopic is receiving awards and acclaim, it wasn’t well-received by critics and Queen fans for a number of reasons, but its connection to Singer is the biggest issue at this point in time. You can read the full apology below, thanks to Brian May’s Instagram account.